The Frog Prince™ slot is a 5-reel, 15-line, 75-coin video slots game with two bonus feature rounds. A lot of people call this one the "kiss the frog slots" or the "Prince Charming slot machine"
The game itself is based on the classic Prince Charming fairy-tale, where a prince is trapped in the body of a frog and in order to escape from this imprisonment, he must be kissed by a princess..
An absolute classic of it's time, this is one of the generation of video slots that came out before Cleopatra and Wolf Run, but does not contain free spins bonuses. At this stage in time, vido slots were still a novelty and this was one of the bets. When the game was released, bonus games were generally based on making selections and winning prizes based on the result of those selections you have made. Like Jackpot Party. However, these frog slots have the best of both worlds - free spins and bonus games. In many ways, this game is similar in style to Enchanted Unicorn and the classic Texas Tina as wel as games like Fortune Cookie slots. 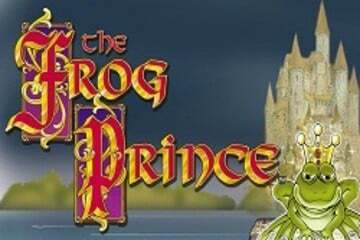 Frog Prince is one of the most popular old-style games in the Vegas casino. This bonus is triggered when you get three Crowned Frog symbols in any positions on the second, third and fourth reels of the slot. You are presented with three frogs to choose from, by touching the screen. The number that appears is the number of ‘kisses’ you will get in the next stage of the bonus round. Once you have your kisses (chances) you then touch a frog to get a multiplier of you bet from 4 to 100 times. You can then accept the offer or reject it and try again. You keep going until you either accept one of the offers or run out of chances, in which case you will get the final offer. The Magic Wish bonus starts when you get any combination of five Frog Prince and Magic Wish symbols on a played line. This is a free spin bonus and you receive up to six of them and at a multiplier of up to 5 times your initial wager. The free spins bonus plays all 15 lines of the slot and can be re-triggered. In addition, the Kiss the Frog bonus can be triggered too during the free spins round.